Yesterday The Hollywood Reporter published a story on a new lawsuit which could upset the ebook market. It's long been established that Amazon and other ebook retailers aren't liable for pirated ebooks sold through their respective ebookstores; the DMCA sees to that. But it is less clear that the retailers are immune to other lawsuits relating to their ebookstores. Take, for example, A Gronking to Remember. That real person fic erotica got a lot of media attention last year for its rather far-fetched premise, and it is now the subject of a publicity rights lawsuit. 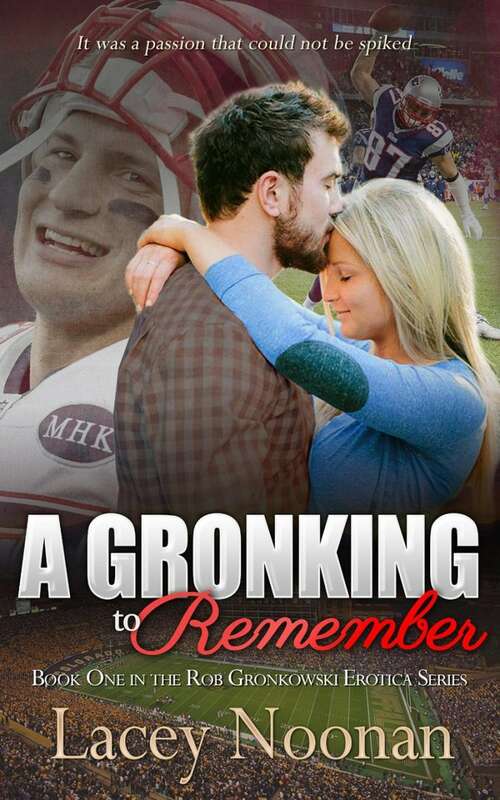 According to The Hollywood Reporter, the couple whose image was used on the cover of Gronking is now suing (PDF) several ebook retailers as well as Lacey Noonan, the pseudonymous author, for violating the couple's rights under Ohio's Right of Publicity laws. As a rule, I find the concept of publicity rights laws to be ridiculous beyond belief, but a quick read of the relevant laws (Ohio Code Ch. 2741) suggests that the couple does have a case. Of course, Amazon disagrees. It has already filed a motion to dismiss (PDF), arguing that it is protected by Section 230 of the CDA (Communications Decency Act of 1996). That section of the CDA has been intepreted to give ISPs complete immunity to torts committed by users (Wikipedia), and Amazon makes a similar argument here. Amazon said that the claims are barred because the plaintiffs "purport to hold Amazon, which is an interactive computer service, as the publisher or speaker of a purportedly infringing image, which was posted by users of the Amazon.com website". There are a couple rulings which suggest that Amazon has the law on its side, though of course there's no guarantee that the judge will agree. I'm hoping that Amazon prevails, for obvious reasons. Should the couple win, that ruling will put a damper on digital publishing as the ebook retailers take steps to protect themselves against future lawsuits. The Roes do have a right to control their publicity rights, in so far as they aren’t public personalities. But going after the retailers is a classic deep pockets fishing ploy. Amazon, Apple, and Nook are no more guilty than Ingram would’ve been if it were a pbook case. This is *exactly* the kind of situation for which safe harbor laws were created. If they are liable, so is the owner of a building that gets covered with graffiti. They might not even have a case against Noonan. If this photo is sourced through a photographer then chances are the pub rights issue was covered by the contract. That would make this completely legal. That would depend on the contract with the photog and if the photo came via a private session they would have to include the photog in the suit. More likely they posted the pic online and it got replicated all over, possibly with altered metadata. Noonan might actually be innocent. It might take a trial to determine, though. But the retailers *are* innocent; no trial needed. Aren’t building owners liable for graffiti that appears on their buildings? It may depend on local ordinances, but I know it to be true in my neck of the woods. The owners have something like 48 hours to remove graffiti or be fined. They may be liable for removal, but they aren’t liable for content. For example, if someone were to graffiti a libellous statement, can the owner be sued for libel? Even if it turns out the couple has a reasonable case against Noonan, Amazon et al definitely don’t belong in the mess. Safe harbor protections need to be strong or else they’re meaningless. Noonan also released a book called Eat Fresh, with a cover featuring Toyota Jan, Progressive Flo, and the model from recent Wendy’s campaigns. (http://www.goodreads.com/book/show/23118787-eat-fresh) Perhaps someone from one of those companies complained, as another cover was recently put on it featuring none of them. (http://www.amazon.com/Eat-Fresh-Footlong-Lesbian-Fiction-ebook/dp/B00MT7UDB8/) Or maybe she just likes changing her cover designs often. For a short time she had a paperback for sale, The Big Book of Booty Motivation (http://www.amazon.com/Big-Book-Booty-Motivation-Thought-Provoking/dp/1505517737), featuring an assortment of butts paired with various inspirational quotations, promoted from @bootivator on Twitter. If the photos inside were some of the pics shown on her Twitter feed, many of which I doubt are stock photos, then it wouldn’t surprise me if a complaint was made there. For whatever reason, that book was removed from sale a short while after release. Fair use as it applies to parody is a tough judgment call given the inconsistent court rulings on such matters. A Gronking to Remember is clearly a work of parody, and maybe Noonan had a reasonable basis for using the photo of Gronk which she later removed. But are the couple themselves parodied in the story? If not, then I’d say Noonan was on pretty shaky ground choosing to use their photo, unless she had the permission of someone like the photographer, who may have retained copyright on the photo. In which case, the couple should take that up with the photographer or whomever provided the permission rather than Noonan. If not dismissed or settled, this’ll be an interesting one to watch for sure. Thanks for the details about the other books. It shows that Noonan played fast and loose with copyrights, so she very likely didn’t have any right to use this photo. Whether that means the use is a violation of the publicity rights law is another matter, of course. As for the cover I am showing, it’s not cleat which cover shows the plaintiffs. I thought it was this cover. Yeah, publicity rights seems like a stretch to me, but their lawyer probably advised them that it’s their only hope of any meaningful money. Either they don’t own the copyright to the photo or they do but never formally registered it, in which case they’d be very limited in how much they can sue for. I’m not sure which couple they are either. The first one seems like a good guess, as I don’t know why Noonan would find another couple if she didn’t have to. I’m sure once the judge dismisses the case against the deep pockets, I mean Amazon (and I suppose BN), their lawyers might reconsider. Remember, just because someone wins a lawsuit doesn’t mean they will get the $. You have to file additional paperwork and then IF the other person has that money, you can maybe collect. I’m sorry this couple felt embarrassed but honestly, I didn’t know about this photo until the lawsuit. Of course, I had to do some searching to find the original photo to see what the fuss was all about. I’m sure that is true for a lot of people unfamiliar with the case. By filing this lawsuit, they brought MORE attention on themselves. And gave the author free publicity. I checked out her other books and from the blurbs, they seem ridiculously funny. I would never have stumbled upon this author if not for the lawsuit. I guess it’s true what they say- no such thing as bad publicity….